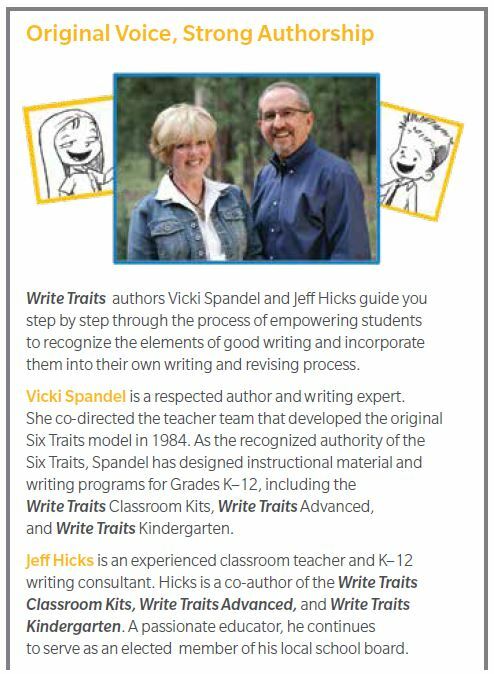 Write Traits includes everything needed to build a strong foundation in the traits of effective writing, support writing independence, and deliver flexible, effective instruction. Ideas - Unit 1 begins with ideas. 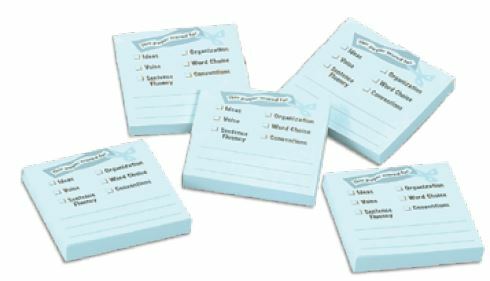 Organization - Unit 2 delivers instruction in how to organize, shape, and support ideas. 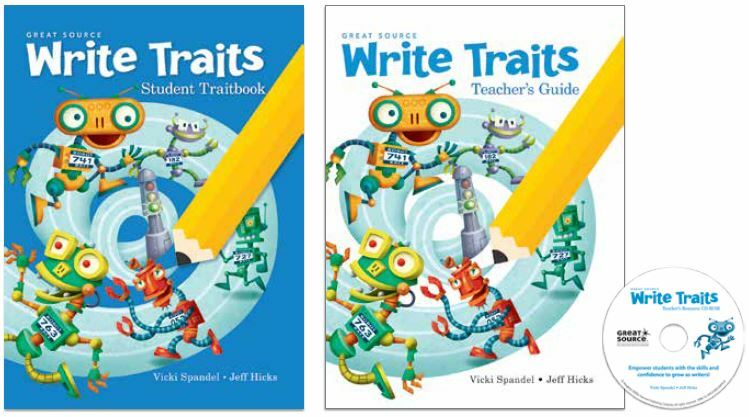 Voice- Unit 3 supports students in bringing a unique voice to their ideas. Word Choice - Unit 4 focuses instruction on employing the most powerful language. Sentence Fluency - Unit 5 emphasizes the importance of rhythm, flow, and "sound." Conventions and Presentation - Each unit addresses conventions and presentation as they apply to the target trait.